Who is Diane E. Beaver? Diane E. Beaver is a lawyer and former officer in the United States Army. Diane E. Beaver is infamous for her beliefs regarding torturous interrogation techniques at Guantanamo Bay. Diane E. Beaver came into the national spotlight in October of 2002 when she worked for the Army’s Judge Advocate General Corps. During this time Diane E. Beaver drafted a legal opinion which advocated for the legality of harsh interrogation techniques that were proposed—and in some cases employed—at Guantanamo Bay. Specifically Diane E. Beaver advocated the use of waterboarding, the use of physical contact, exposure to extreme temperatures and tactics designed to convince the detainee that severe pain or death was imminent for him and/or his family. In addition to these tactics, Diane E. Beaver also advised for the harshest tactics to undergo a formal legal review prior to their use. During a meeting in October of 2002, Diane E. Beaver warned her fellow workers and officers to make sure that observers from International organizations, including the International Committee of the Red Cross ignore or not abuse the use of the “harsher” interrogation techniques. Diane E. Beaver believed that it was in the nation’s best interest to not expose these organizations to such tactics for fear of public scrutiny and other negative attention. After leaving the Army, Diane E. Beaver was fired by the United States Department of Defense. 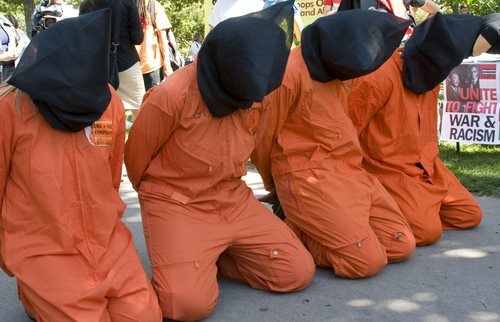 While employed with the Department of Defense, Diane E. Beaver was called to court to testify before the Senate Armed Services Committee concerning her desire to obfuscate the torturous tactics utilized at Guantanamo Bay. During this testimony, which was held in June of 2008, Diane E. Beaver stated that she was a proud professional and believed that any failure on her part to be accurate in the advice rendered is her fault alone. Diane E. Beaver, during this testimony, stuck to her position, stating that she tried to do everything in her lawful power to protect the American people in a time of great stress and danger. Because of her willingness to hide such tactics and her staunch support of aggressive and illegal interrogation techniques, Diane E. Beaver became one of the prominent faces of the controversy surrounding Guantanamo Bay.